Colm Imbert has stated that no money has been paid by cabinet for the acquisition of the hotly debated Bombardier jet. Mariano Browne, Minister in the Ministry of Finance, has come out in support of Mr. Imbert but had a few additional details to add. One of this was that US$52 million had been paid for the acquisition. Mr. Lok Jack has also supported both men by agreeing to return the US$65 million investment grant awarded by the government to Caribbean Airlines, that is if the Bombardier deal does not go through today. We have it on good word that the deal has in fact gone through. 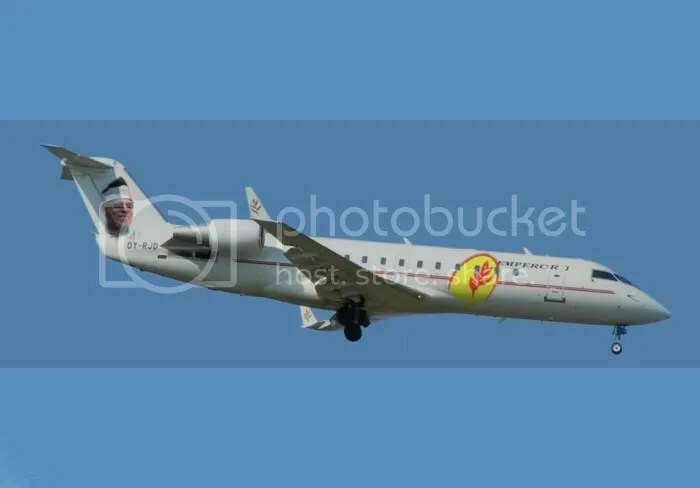 An anonymous high flying investigative reporter was able to capture this photograph of the new jet.